The French Revolution had an incalculable effect during the Romantic period and much critical attention has been paid to how it influenced numerous Gothic writers and works. Less attention, however, has been paid to the numerous texts written during the Victorian period that confronted the French Revolution in the same Gothic terms. 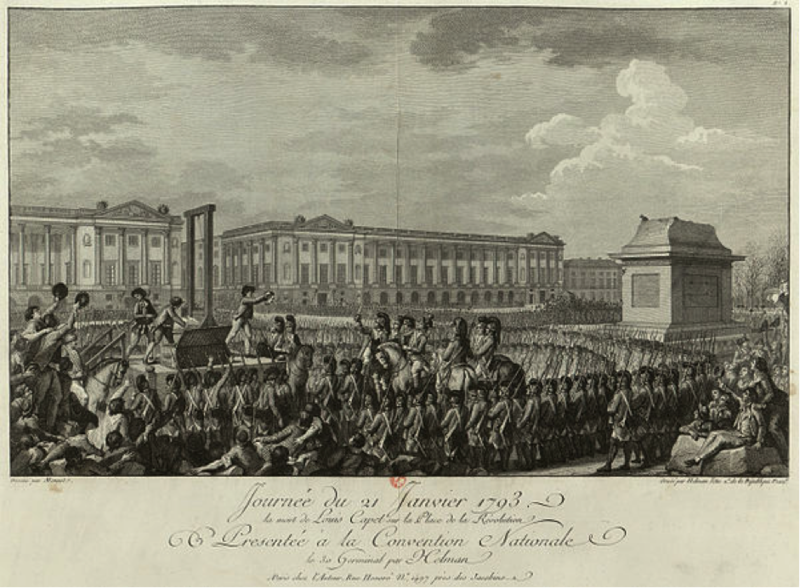 Staging an encounter with the terrifying past is a common function of the Gothic mode, and there are few periods in history where this can be more clearly felt than the French Revolution. Carlyle’s The French Revolution: A History (1837), as quoted above, describes events in an inherently Gothic manner. One need only cast an eye over the language Carlyle uses to find distinctly Gothic phrases, such as a description of France as ‘a dark contentious Hell-on-Earth!’ . To some degree this can be seen as continuing British Protestant cynicism towards Catholic Europe, visible in classic Gothic works such as Matthew Lewis’s The Monk (1796), but also Edmund Burke’s Reflections on the Revolution in France (1790). Like Carlyle, Burke uses emotive language in his condemnation of the Revolution’s brutality, but whereas Burke was writing during the Revolution and sought to sway opinion, Carlyle’s history is merely an early example of how Victorian writers exploited the terror of the Revolution for its melodramatic and Gothic effects. For Carlyle, and the writers who followed him, the French Revolution posed more of a problem than it had to the earlier Romantics. During the Revolution, switching from optimism and enthusiasm to horror and cynicism as the Revolution entered its later stages, ‘The Reign of Terror’, came naturally. For the Victorians, confronted with the whole Revolution altogether, it posed far more of a crisis of conflicting sympathies. I would argue it is this difficulty of allocating pathos and blame between oppressed masses and persecuted aristocrats that makes the period so worrying, and gives these texts their most distinctive features. By referring to man’s savage nature despite its civilised status Carlyle not only foreshadows A Tale of Two Cities’ opening contradictions, but also speaks directly to the Gothic mode: this is a conflict between the present’s civility and the past’s barbarisms. The recognition that it causes a ‘spectacle’, something to be viewed, is crucial in exploring how his emotive history is but a narrow margin away from being a Dickensian melodrama, and contributed to it to being framed as one. The Revolution was a spectacle, as well as a stage, and what the ‘demonic’ examples quoted above make clear is that by identifying groups or individuals as devils they were also being cast in melodramatic roles as villains. The conventions of melodrama push the characterisation of the aristocracy as sinister to extremes in A Tale of Two Cities. This can be seen through a reference to the ‘droit de seigneur’; ‘their shameful rights’ over ‘the modesty and virtue’ of the local girls (Tale, 336). As with classic Gothic fiction, Dickens leaves no doubt as to how despicable the villains are, and how much the reader should despise them. What makes A Tale of Two Cities such an interesting novel is that, in the later stages, this explicit villainy is extended to the Revolutionaries themselves as they continue down a path of bloody vengeance.The best representation of this is Madame Defarge, a ‘sharp female’ (Tale, 262), often compared to the Guillotine itself. Defarge displays a complete lack of sympathy towards those she denounces, which becomes reflected in law: ‘it is a capital crime, to mourn for, or sympathise with, a victim of the Guillotine’ (Tale, 358). One of the novel’s heroes, Sydney Carton, correctly assumes Defarge plans to use this law to continue her revenge against the innocent Darnay’s family by having them executed after Darnay himself. While the novel’s heroes demonstrate great sympathy, the novel on the whole condones a lack of it, making parallels between the Revolutionaries and the aristocrats they have replaced. A Tale of Two Cities uses its historical setting to the utmost, creating a tangible climate of fear and violence, emphasising how easily the innocent could be caught in the cycles of vengeance. The aristocrats in these stories may be cast in the Gothic mode, tyrants who abuse their power, but for Victorian authors the revolutionary leaders seem to be the most troubling. The supreme indifference, lack of empathy with their victims and the single-minded pursuit of revenge seems to mark the revolutionary leaders as the real horrors of these texts. Just after the end of the Victorian period the appeal of the French Revolution as a setting for Gothic-inflected melodramas showed no signs of slowing down. A famous example lies in Baroness Orczy’s The Scarlet Pimpernel (1905), which continues to address these same Gothic elements. The novel opens with a bleak characterisation of the Revolutionary masses, calling them ‘a surging, seething, murmuring crowd, of beings that are human only in name, for to the eye and ear they seem naught but savage creatures, animated by vile passions and by the lust of vengeance and hate’ (Scarlet Pimpernel, 3). Ideas of British and French difference resurface alongside infernal imagery as the revolutionaries are also called ‘murderin’ devils’, and more significantly, ‘Frenchy devils’ (Scarlet Pimpernel, 17, 18). Where The Scarlet Pimpernel differs is that it reinstalls the sympathetic element other writers felt was missing, albeit in the form of a British aristocrat, yet nevertheless addressing the same concerns. When the Pimpernel crosses the channel to effect a rescue it is not merely to France, but in to a barbarous past, and he risks his own safety in doing so. The Scarlet Pimpernel, its vast number of sequels, and its near-constant adaptation throughout the twentieth-century, reiterate how the Gothic’s preoccupation with the past has diffused in to other forms, but maintains the same basic concerns that made it frightening to readers of Carlyle: people’s capacity to harm one another. The few examples explored here detail two kinds of state-endorsed brutality, from the perception of the pre-Revolution aristocrats as answering to no one, reigning with tyranny over their subjects, through to the hysteria and revenge associated with the revolutionary leaders during the ‘Reign of Terror’. The name is an apt one, for it does seem to be terror that held the most sway during this period in the Victorian imagination, consumed with sublime delight attending a theatrical melodrama or reading a piece of historical Gothic fiction. Burke, Edmund. Reflections on the Revolution in France (1790).Indianapolis: Bobbs-Merrill, 1955. Carlyle, Thomas. The French Revolution (1837). London: Macmillan and co., 1920. Dickens, Charles. A Tale of Two Cities (1859). London: Penguin Classics, 2003. Oddie, William. 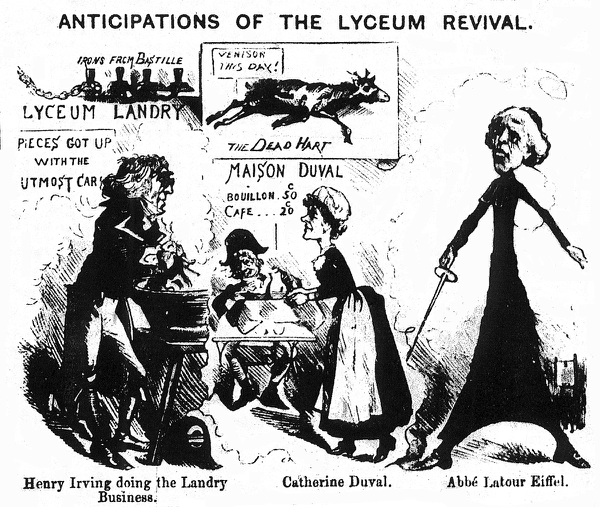 Dickens and Carlyle: The Question of Influence. London: The Centenary Press, 1972. Orczy, Baroness Emmuska. The Scarlet Pimpernel (1905). New York: Modern Library, 2002. Watts Phillips and Walter H. Pocock (Revisions). The Dead Heart. London: Samuel French, 1889. 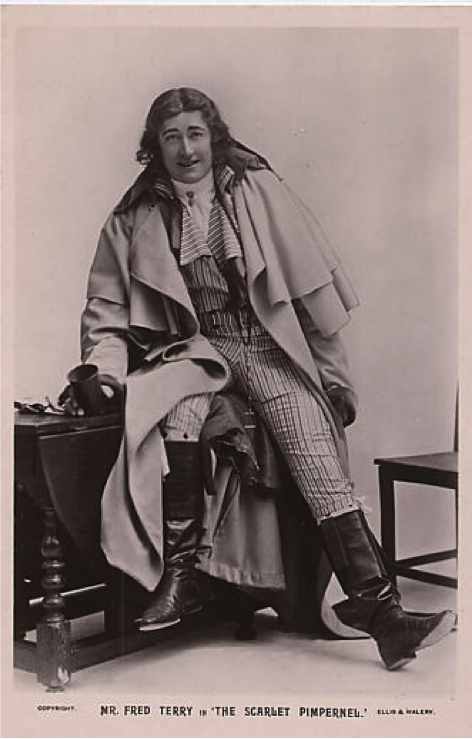 Watts Phillips, E. Watts Phillips: Artist and Playwright. London: Cassell and Company, 1981. Oddie, William. Dickens and Carlyle: The Question of Influence (London: The Centenary Press, 1972). Watts Phillips, E. Watts Phillips: Artist and Playwright (London: Cassell and Company, 1981), p .47.